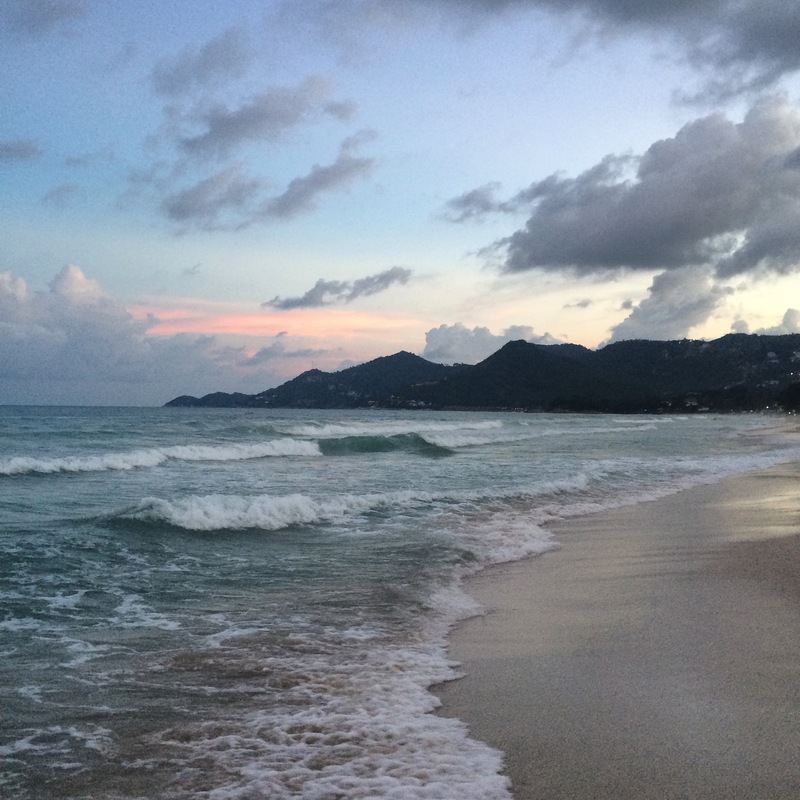 It’s been almost two weeks since I last updated you on my solo travel adventure; time goes so fast here in Thailand! Like I said in my last post, after my diving course I stayed in Koh Tao for another six days. If you haven’t realised from my past few posts; I loved Koh Tao. The six days I spent there flew by and I would go back in a heartbeat. The main highlight for me was going to the island of Koh Nang Yuan for the day. I grabbed a long tail boat and after only fifteen minutes, I was transported to paradise. Koh Nang Yuan has been hailed by many as one of the most beautiful islands in the world, and I’m not going to argue that. I managed to get there right before the big tourist groups did, and so was able to hike to the lookout point (which was a very tough climb that made me realise I really need to work on my fitness…) and enjoy the beauty all by myself. Plus I managed to snap some pics of a pretty much deserted Koh Nang Yuan. As if on cue, the minute I hiked back down, two big boats arrived bringing with them more than a hundred tourists. Just like that, the small peaceful island became loud and a bit cramped, but it didn’t bother me because I got to enjoy it in serenity earlier on. The rest of the day I spent doing what Koh Nang Yaun is know for; snorkelling. The reefs surrounding the island are magical, and if you venture out a bit you’re pretty much exploring on your own. After diving for the last few days, observing again from above was a bit strange, but I quickly got used to it again and enjoyed every minute of it. 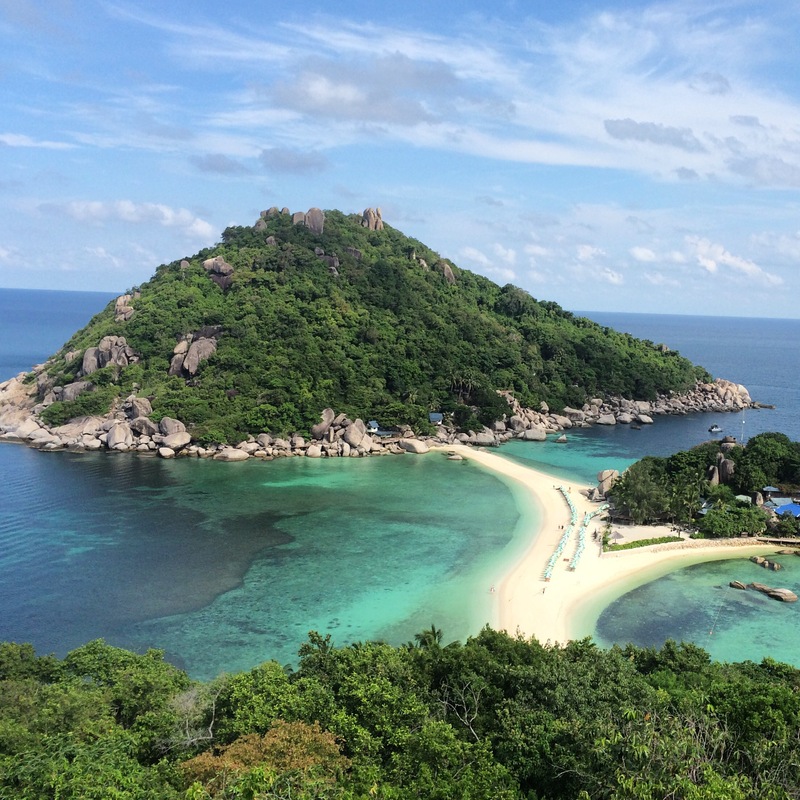 Moral of the story: if you’re ever in Koh Tao, head to Koh Nang Yuan! Another thing that made me love my stay on Koh Tao even more was the amazing vegan food on offer. I’ve had no real problem finding places to eat that offer, or create, some vegan options, but they are usually small portions and the same dish over and over. When I found out that Koh Tao had two vegan eateries, I might have jumped with joy. One, Living Juices, had some amazing breakfast items and the best juices and smoothies on the island. The other, Vegetabowl, might be my favourite vegan restaurant ever. Serving up huge bowls of rice with toppings, I spent the majority of my weekly budget here, no regrets! For pictures of all the yummy food I’ve been enjoying, check out my Instagram. After an amazing time, I was sad to leave Koh Tao. But I hopped on a ferry anyway and went to my next destination; Koh Samui. I’ve been here once before when I was little, and I don’t remember much, so it was essentially a new place for me. My first day I was struggling a bit with adjusting; it’s definitely much more touristy here and I found it a bit overwhelming. However, as soon as I got my feet in the sand and strolled along the beach, I knew I’d find my groove here in no time. I have been in Chaweng for the past week. The beach here is amazing; stretching for miles and with a beautiful wave-filled sea. I’ve been enjoying soaking up the sun, reading some amazing books and catching up on some much needed writing. Basically, I’ve taken the time to really relax, and I feel really good about it. At the start I felt guilty, like I should be doing more productive things with my time, but I’ve realised that I deserve to take quite time for myself as well. It’s all about balance. I’m currently finishing up packing to head to another beach town here on Koh Samui for the next five days; Lamai. It’s meant to be a bit quieter, so I’m looking forward to that. Also, the main tourist attraction there are two rocks resembling the male and female genetalia, so that will be a interesting sight. With the end of my trip getting closer, I’m enjoying every minute I get to spend on this island! It sounds like you are having such an awesome time! Will you be getting to Koh Phangan? I’ve heard there’s a great conscious community there.